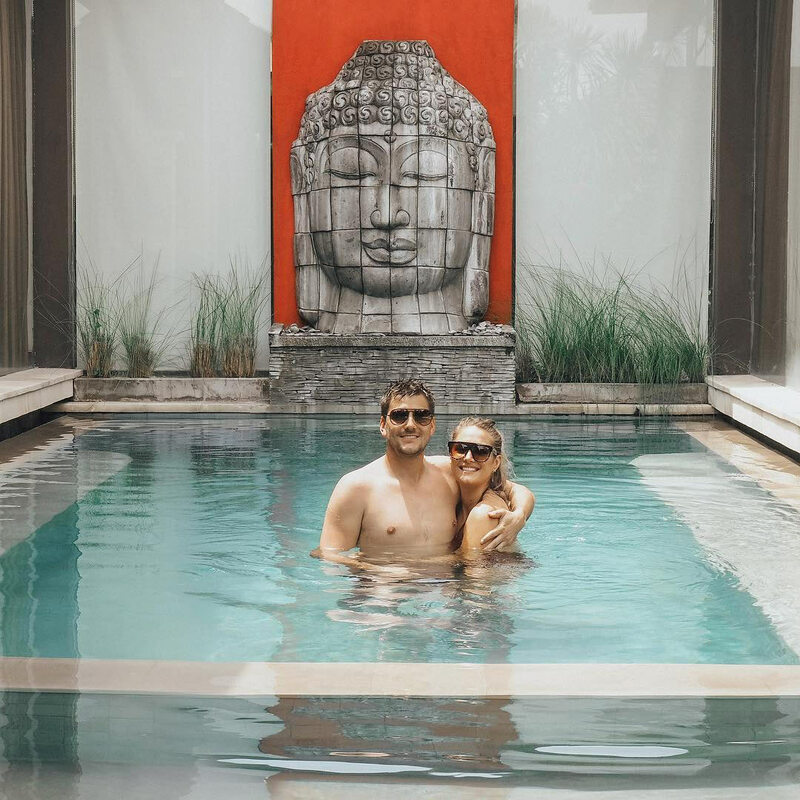 If you have been following me for awhile, you would know this was my third trip to Bali. All within 2 years. 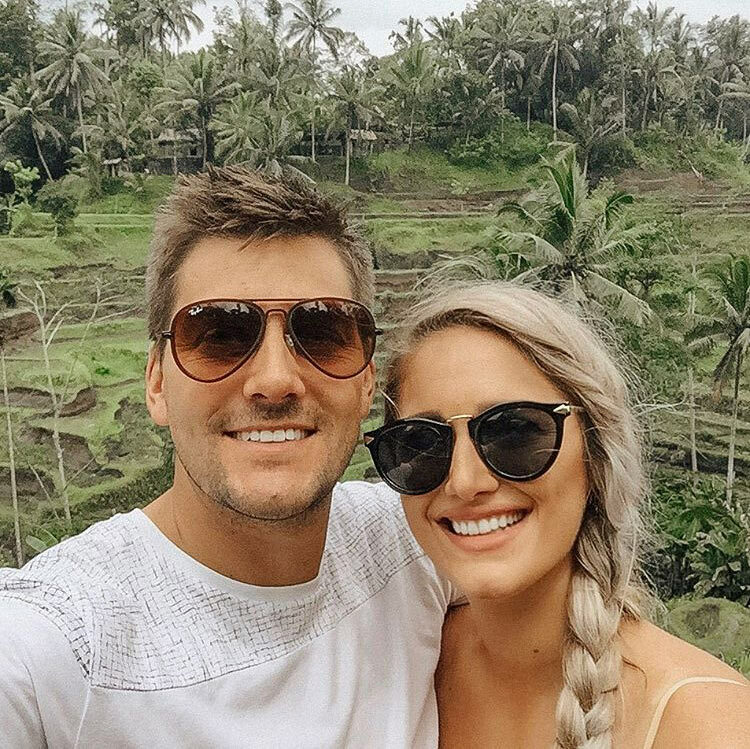 And while I’m all about exploring somewhere new, (hence having travelled to 27 countries), I found it mindblowing that each experience I’ve had in Bali was so different! The first is an ex that I had waited to end things with until we returned home (I’m sure you can imagine my struggle. No further explanation necessary). The second, a great travel buddy who I had met in Europe a couple years before. And finally, the love of my life, Ben. Even though we both got a bout of Bali Belly, the trip couldn’t be topped for me. This time I found an AirBnb closer to Seminyak and was only a few minutes walk to Seminyak Square. It had 2 bedrooms with 2 large ensuites, a lounge and dining area. Plus a pool, spa and outdoor entertaining area. We only used one room but it did make our private villa feel much larger than most. We couldn’t have picked a better place to come into 2018 together. We got the VIP package. Private area with all we could eat and drink. Had amazing live performances and fireworks right on the beach. Definitely a night of a lifetime. Who can beat jugs of sangria and a shisha? Ben and I enjoyed WooBar so much. The ambiance, view and service were lovely! In the past I had gotten daily massages from Cool Spa right beside Seminyak Village shopping centre but it had burnt down! We found the most amazing one not far from Seminyak Square and it blows all the others out of the water! Ben and I both had a shared room with our chosen massage styles. The room also had a shower to wash off any oils. I’d say this was the best massage experience of my life! Big call I know! PRO TIP – If you have already checked out in the morning and by your night flight would like to freshen up, get a massage and utilize the shower facilities. BAM, you can thank me later. Another must visit restaurant. The food is affordable and yet so flavoursome. Order the Al Pastor Tacos! You won’t regret it! The Chilli Beef & Jalapeno Cheese Fondue won’t be a disappointment either. 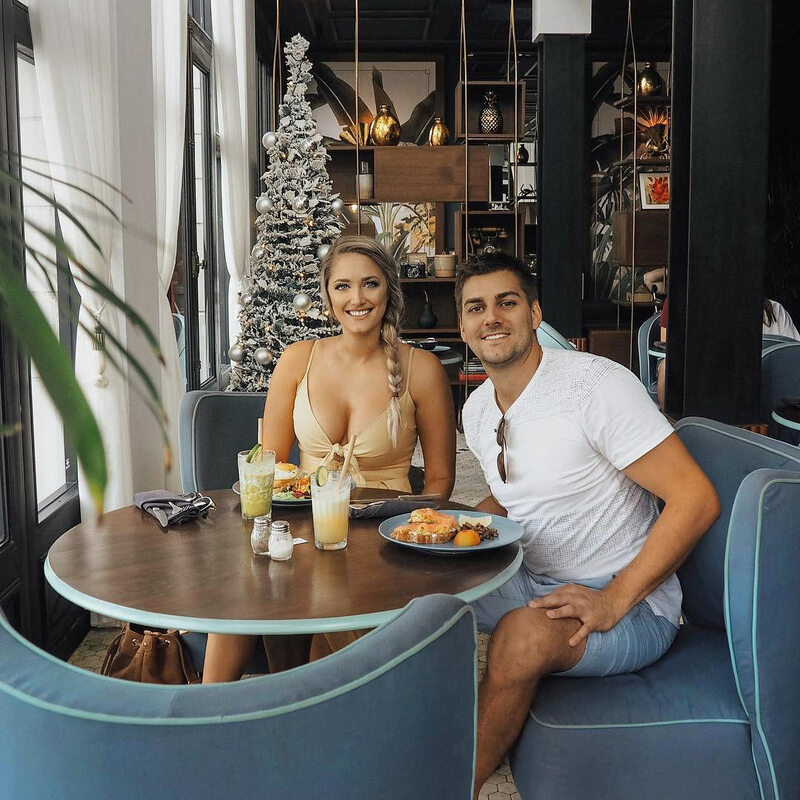 Also a wide range of drink choices – including juices, smoothies, cocktails and wine! Still the best restaurant in Bali. My friend Prickles and I visited this gem and I had to go back. The cocktails and flavours of every we dish we ordered were on point. Warning – if you enjoy yourself as much as us, you will leave uncomfortably full! By the way, I definitely recommend booking ahead! MamaSan – Still as amazing as ever. It is a little heavy, so I prefer only dining at dinnertime. 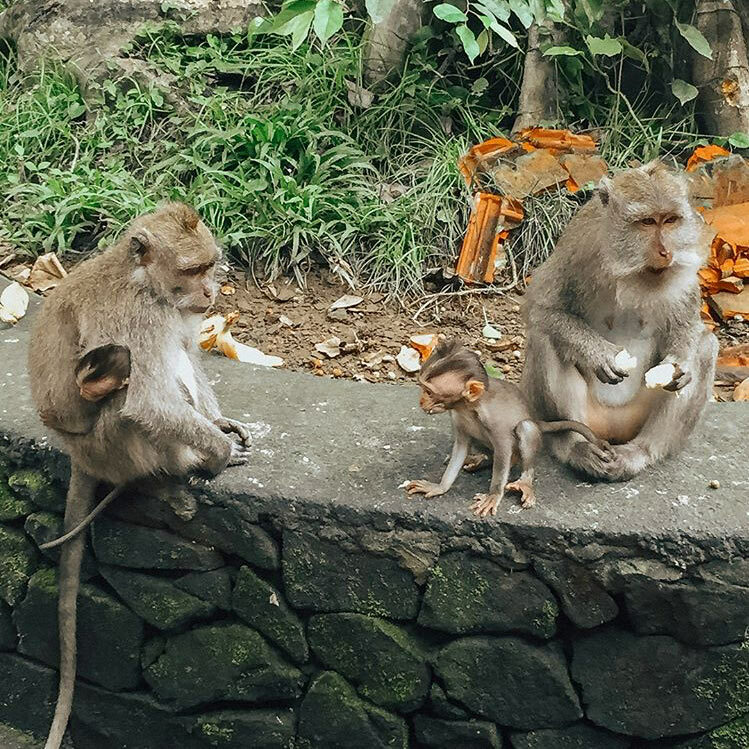 Ubud Monkey Forrest – After Ben watched Youtube videos of monkeys biting people all morning beforehand, his face was priceless when I held a banana high and let a monkey climb up me to grab and eat it. Hahaha! Even if you don’t like monkeys, this is a must see! 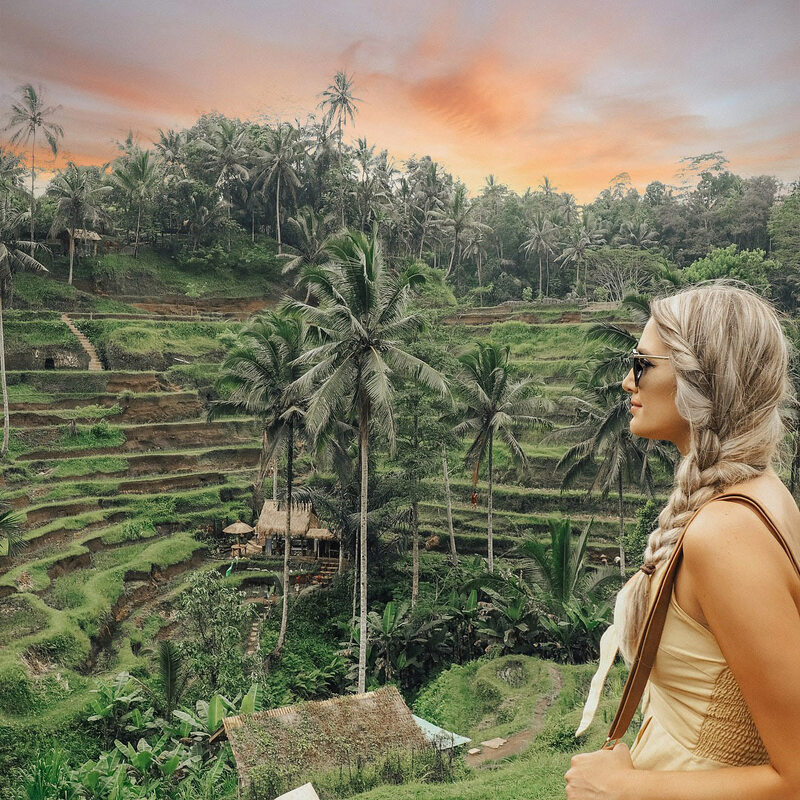 Rice Terraces – You can’t come to Bali and not visit the rice terraces! It’s a short trip from the monkey forrest so make sure you stop by. One thing to keep in mind; it does rain quite often in and around Ubud. Come prepared. Revolver – We visited a couple times as Ben is quite the coffee lover. We also grabbed breakfast here. Can recommend! 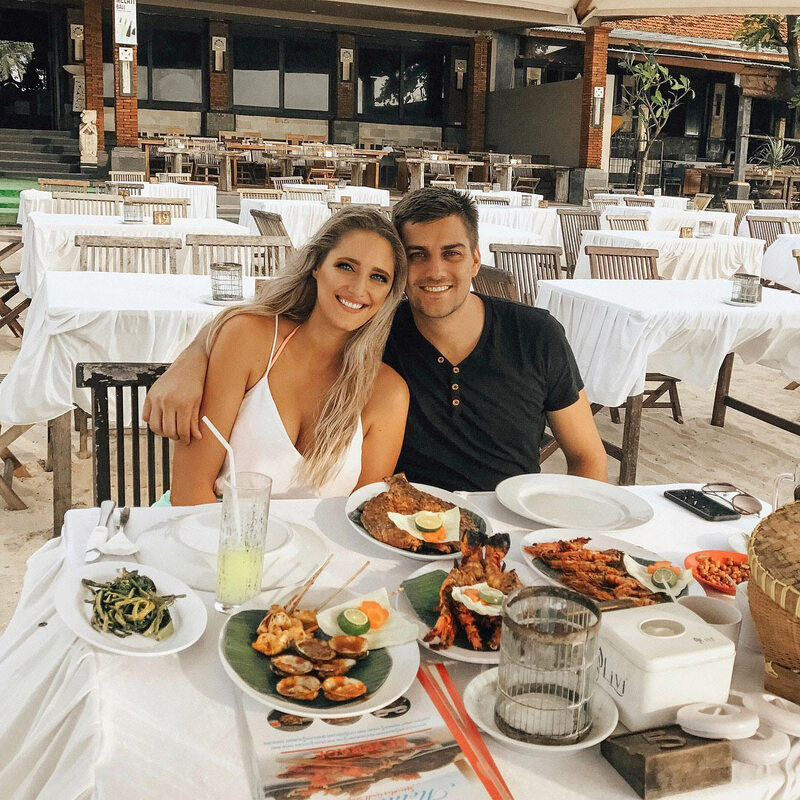 Finn’s Beach Club – I wish I was feeling a little more alive the day we visited Finn’s but unfortunately I was in the grips of the notorious Bali Belly. It was a great spot with a wide array of food and drinks available. 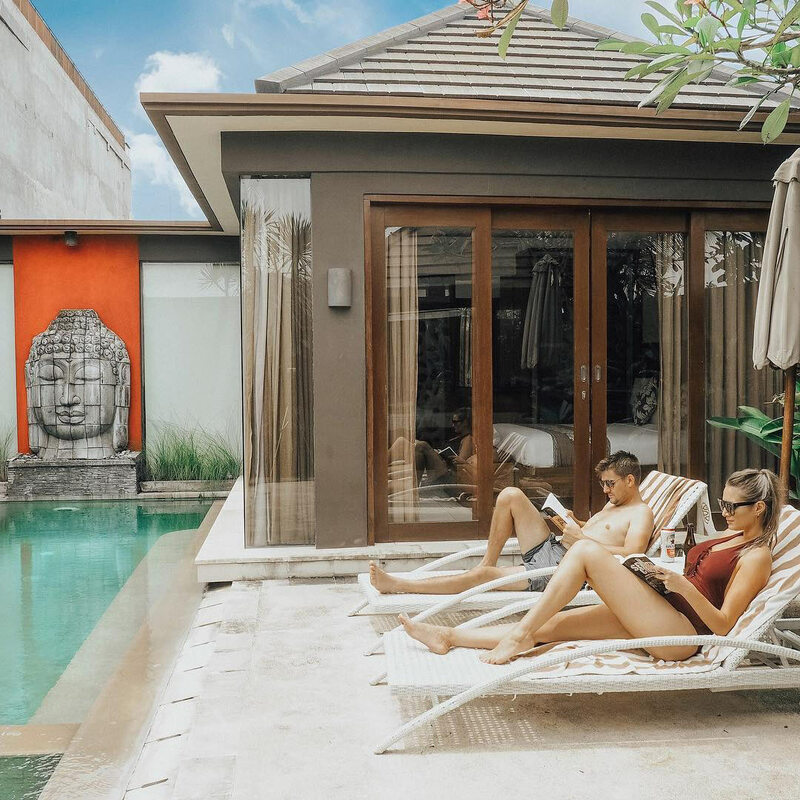 Planning a trip to Bali? For any other questions, do not hesitate to comment below or message me! I’m more than happy to help! ~ This was my third trip to Bali, Indonesia.